It’s no secret that Fish Lane is right up our alley, being one of South Brisbane’s most versatile streets worth eating your way through. A few existing pleasures (that are hardly guilty) include the likes of Hello Please, Chu The Phat, Big Roddy’s and La Lune (see, you knew exactly which lane we were talking about, don’t doubt yourself). As if those local treasures weren’t enough, Fish Lane is about to open four new freakin’ insane venues that are ready to grab the foodie scene by the face and shake it. Find out all the goss below. On a scale of Biggie to Smalls, this newbie is a notoriously big deal. Setting up camp in Fish Lane on November 16, Next Episode is set to become a blended barbershop with a hip-hop inspired bar out back. In classic speakeasy fashion, you’ll have to ring a phone by the bar to get let in. Once you’ve made it to the top, a plethora of cocktails, rotating craft beers, DJs and rap-scene references will be waiting to greet you. Welcome to the gangster’s paradise son! The vegan burger game is about to change forever. Grassfed is set to be a dedicated vegan burger bar run by Vegan Markets mogul, Jonny Garrison. Partnered with ex-Urbane Alejandro Cancino, the pair are putting their meaty brains together to create a meat-free haven full of mock pork, chicken, and beef – proving that you don’t need to have a cow to eat good food, man. You can also expect banger sides, beer and vegan ice cream! Keep an eye out for an exact opening date, but know that it’ll be your best Christmas gift this December. Go on and Kiss The… Berry (points to you if your Little Mermaid tune knowledge ignited). These well-known acai bowl specialists are setting up camp in Fish Lane for all your on-the-go health food needs. Opening on November 9 (just in time for summer), you can grab a big brekky smoothie on your way to work, or chill in-venue with a watermelon split bowl as you people-watch through the window. DA’Burger is DA’Bomb, so we’re pretty lucky to be gaining their third venue so close to home. Set to be their biggest yet, this new burger baller will be taking over with an outdoor dining area, two functions spaces and an impressive bar with 12 beers on tap. All your fave meaty burgs will be available, but our vegan mates will be stoked to know that the menu is expanding with some new faves for you! Listen to your gut and get down there from November 22. Ready, set, swim this way. 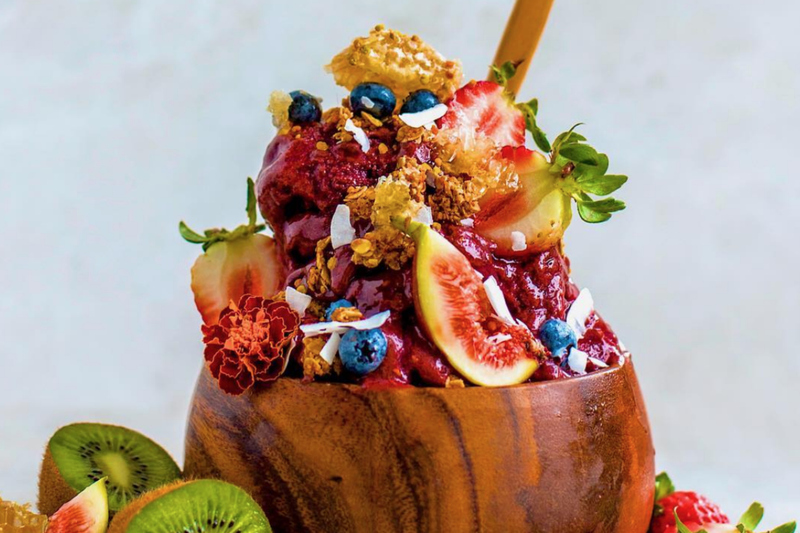 Read more: Brisbane’s best new restaurants, bars & cafes. - the gourmand that needs a new laptop after this drool worthy mess.